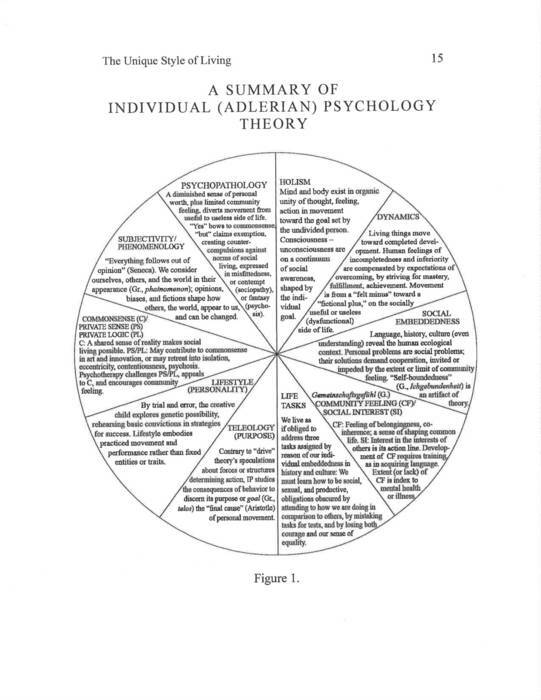 The related concepts below explore the basic assumptions of Individual Psychology, originally developed by Alfred Adler and expanded upon by Rudolf Dreikurs and numerous other Adlerian practitioners and academicians. Adlerians use these foundation principles, yet the philosophy has influenced many of the theories of psychology being practiced today. Adlerians will use what works and will incorporate many tools and techniques from other orientations. The basic assumptions remain front and center and are points of reference for case conceptualization, treatment planning, and even applications within organizations. There are basic principles that each theory is created and based upon. 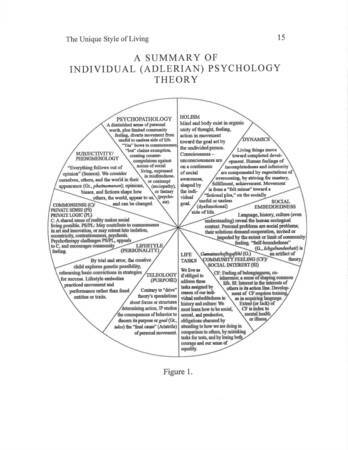 This video goes through the basic assumptions of Adlerian Psychology, also known as Individual Psychology. These include: holism, teleology, phenomenology, and soft-determinism. Adlerian theory is a field theory, meaning we can only understand the person in their context. Lastly, gemeinschaftsgefühl is central to Adlerian theory, which pertains to community feeling and the person within their community.